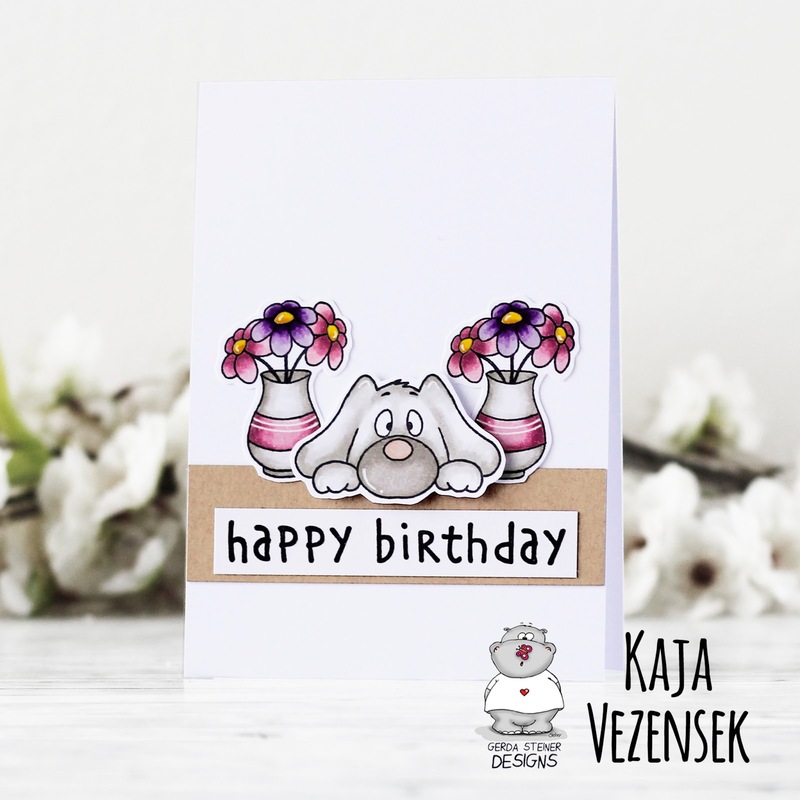 It's Kaja from Kajcyika crafts with another cute birthday card using the On the table stamp set! 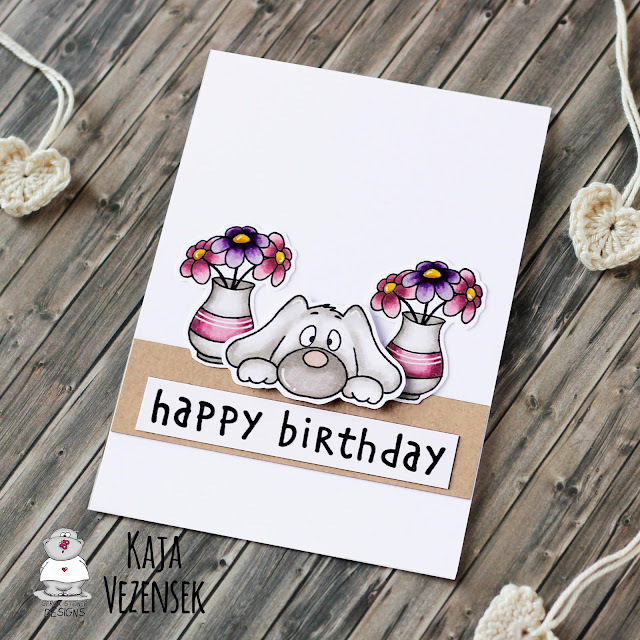 I decided to make a symmetrical card this time, so I stamped out a dog and two bouquets. I colored everything in using alcohol markers and for the details I used white gel pen. Next, I used my paper trimmer and cut a piece of brown paper. I used a kraft color since it's a color of the wood and I wanted this piece to look like table. 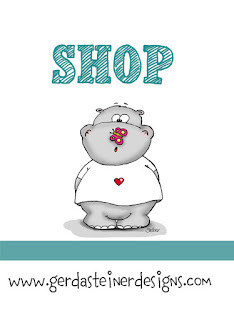 Then, I stamped out the sentiment in black ink on top of white paper. I used paper trimmer to cut it down to a strip and since I wanted to have a symmetrical card I put it directlly in the center of the kraft piece. The last thing I had to do was to glue everything together for which I used double sided tape and foam tape. That's it for today, thank you so much for joining me.